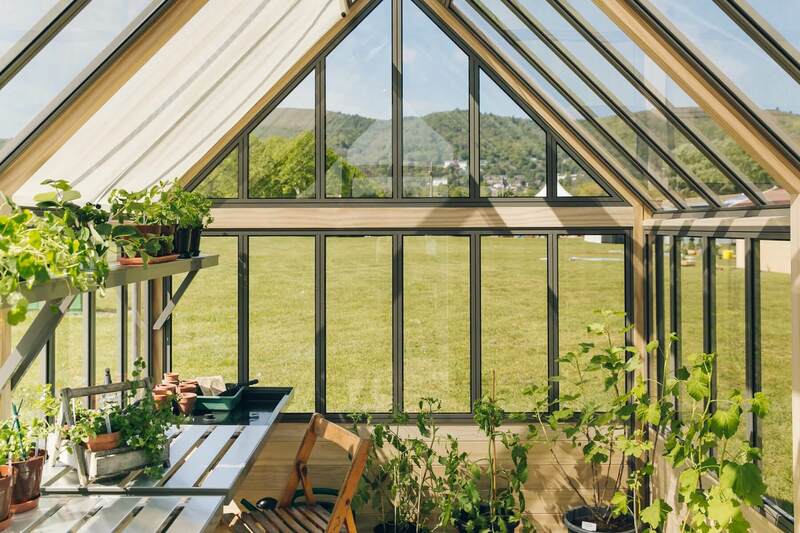 Small Victorian greenhouses are an attractive solution for small urban gardens. So what makes a Greenhouse Victorian ? These days it’s mainly down to the style. Narrow pane centres are attractive to look at although do involve more work and materials for the greenhouse manufacturer. A generous 45 degree roof pitch ensures plenty of working height as well as good light transmittance. Some manufactures put cresting along the ridge and this ploy is often used by budget greenhouse companies to make existing models look more Victorian. A more tasteful solution, perhaps, it to have finials at the end of the ridge, this provides an attractive focal point. Some greenhouse companies go to the extent of casting parts and cast iron parts were used by the Victorians to add strength at the joints. These days the cast parts are less likely to offer a structural solution. 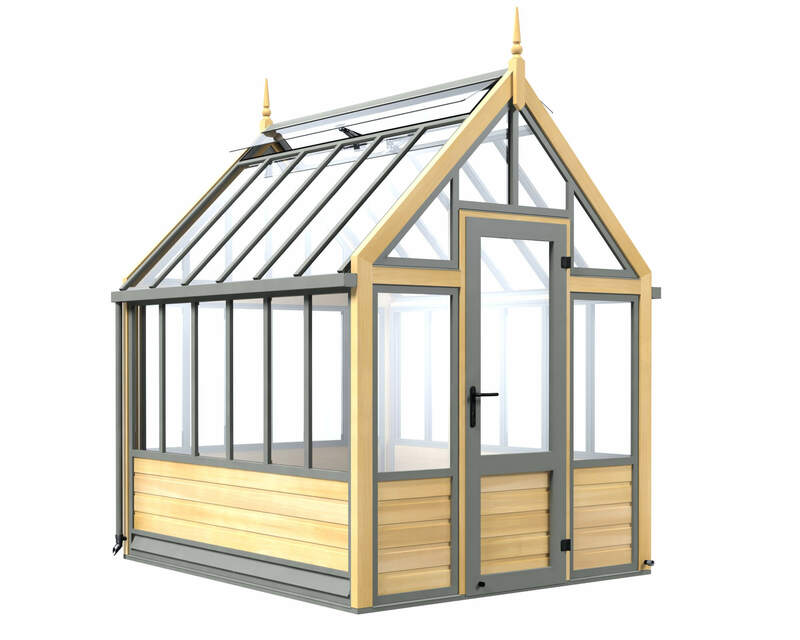 At Cultivar we produce a range of models and our small Victorian Greenhouses are made using concealed engineering. 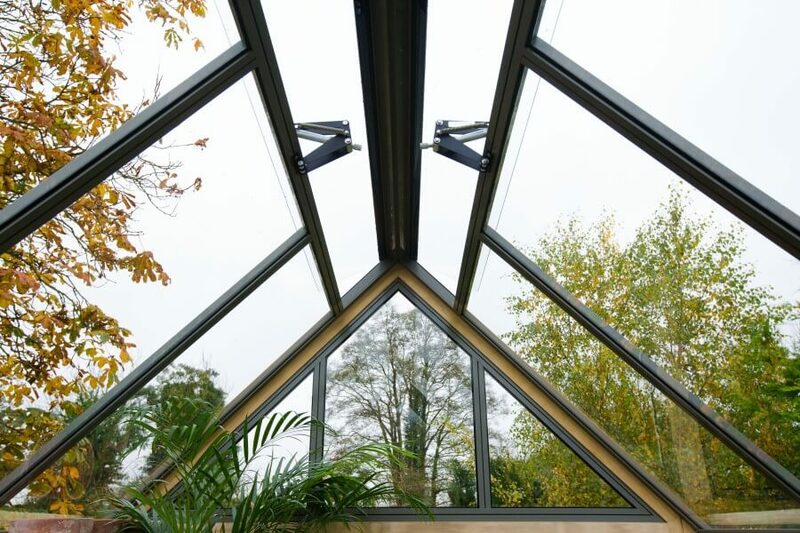 This allows us to hide unsightly fixings from view and provide a greenhouse that is easy to keep clean and maintain. The result is an attractive solution for the smaller garden where the greenhouse might, for example, be in view of the house. When it comes to preparing for your greenhouse you have the option of building a low wall for the greenhouse, this is called a dwarf wall. This can be built from bricks to match the house should you wish to tie the greenhouse in more closely with the surrounding buildings. In this instance most companies would provide you a plan for constructing the base. Bare in mind the cost of constructing the base will be additional to the greenhouse. With Cultivar you also have the option of having wooden panels instead of a low wall. Not only will this save money but it will also make the base preparation less complex as in this instance you will only need to prepare a flat level footing or pad. All the Victorian greenhouses have the facility to add cold frames to the side, a valuable addition for hardening off tender plants. Staging and shelving can be added to either side of the structure. Additional ventilation is easily added as is shading to keep the heat down in Summer and keep your plants healthy. You can get a quote on a cultivar Victorian Greenhouse here. How much ventilation does a greenhouse need ?